Severely damaged by the second World War, this Polish capital city has since evolved into a historical and cultural hub. Its many sights and attractions revolve around Warsaw’s convoluted past and include stories of war, communism, and politics. People interested in modern history will find themselves entertained in this city. Each attraction, including the Warsaw Uprising Museum and the Royal Castle, will teach you something new about the war and Poland’s fascinating past. Today, Warsaw is home to several Gothic-style churches, Soviet-era monuments, and neoclassical buildings that give this city a robust and classic touch. There’s no better way to see Warsaw than by foot, and you can do it free of charge by joining these popular walking tours. Warsaw Free Walking Tours offer four exciting, and free, walking tours that cater to everyone’s interests. The Old Town Warsaw Walking Tour is specially designed with the history enthusiast in mind. This tour lasts for approximately 2 hours. Learn about Warsaw's troubled past, historical significance, and tremendous tragedies. 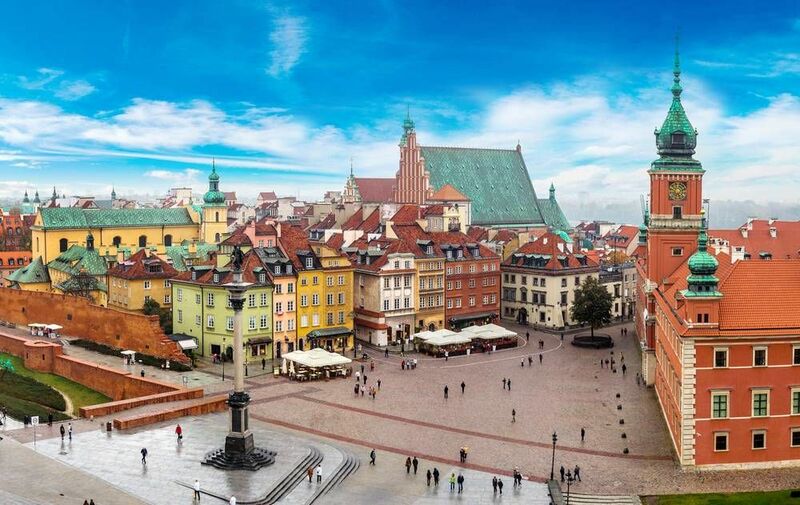 The prestigious Old Town is classified as a UNESCO World Heritage site, and it home to the Royal Castle, Main Market Square, and Monument of Warsaw Uprising. Mingle with the town's locals, learn about the city's extraordinary history and immerse yourself in the culture on this inspiring tour. The Warsaw at War tour is perfect for those who love to learn about the events of the second World War. Learn about Warsaw’s devastating past, the German-Soviet Invasion, and the Warsaw Uprising. Listen to stories of bravery, tragedy, and honour while visiting the major landmarks in this 2.5-hour tour. Take the Communist Warsaw tour for an in-depth presentation about Warsaw as it was 30 years ago. The tour lasts for about 2 hours. Learn about the dark age of communism, see communist-style architecture and explore the communist city centre, Plac Konstytucji. The guides will also take you to the Communist Party headquarters which his ironically named The White House. After this exciting tour, you will learn everything you need to know about the communist years in Warsaw. Finally, join the Alternative Warsaw tour and see the city in an entirely different light. This 2.5-hour tour includes a visit to Praga, a district of Warsaw that was untouched by the second World War. See some of the city’s popular street art and experience Warsaw’s “Hollywood Ghetto” where the movie “The Pianist” was shot. Below you can find more popular (but not free) activities and tours in Warsaw. Are you from Warsaw and want to be a tour guide? Please get in touch by submitting your details on this page!